Whether you’re an established professional working with a top gallery, a weekend tinkerer, or a student tackling personal projects, here at Colossal we believe that your creativity enriches our world. The incredible range of art created by artists of all ages, from all backgrounds, all over the planet, is the lifeblood of our publication. That’s why, in this season of giving and receiving, Colossal is excited to partner with DonorsChoose.org to help support young artists. DonorsChoose.org is a New York-based nonprofit that makes it easy for anyone to help a classroom in need. Public school teachers from every corner of America create classroom project requests, and you can give any amount to the project that inspires you. 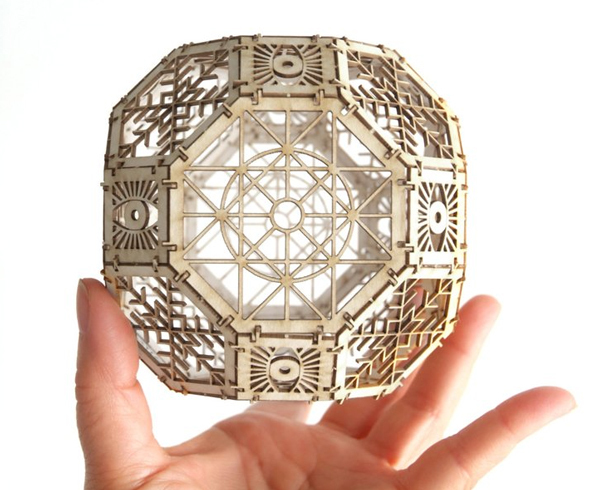 We’ve selected a range of art-focused projects from around the U.S., including requests for basic art supplies as well as specific needs for exploring particular techniques and materials. Each project page lets you know about the teacher and students who benefit from our collective support; how and why the supplies will be used; and includes a specific breakdown of every item and expense on the classroom’s wish list. Or, simply make a donation at the top of the page and your donation will be automatically distributed. Why do today’s students need our support? While many students in the US are fortunate to receive arts education, 17% of elementary school students receive no instruction in visual arts, and 96% of students receive no instruction in theater. And schools with higher rates of students in poverty are less likely to provide arts education (source). Youth of color in the United States are also half as likely as their white peers to be given access to arts education, a gap that has worsened over the last three decades (source). So, is this also a question of policy? Absolutely, and we encourage you to drop a postcard in the mail or make a phone call to your elected representatives. DonorsChoose.org is helping public school teachers close the gap for their students by connecting educators and communities. We’ll be adding new projects and keeping a running tally of the total amount we’re raising as a community on our Colossal x DonorsChoose.org Page. Together, we can help tomorrow’s artists today. Samuel Jaffe is getting close and personal with subject matter found right in our backyards— the furry, florescent, grubby little creatures we often find inching along our trees and sidewalks. Jaffe is fascinated by local environments, and aims to share the information he has collected about these backyard ecosystems so we can become more in tune with what’s right below our feet or hiding in the grass. 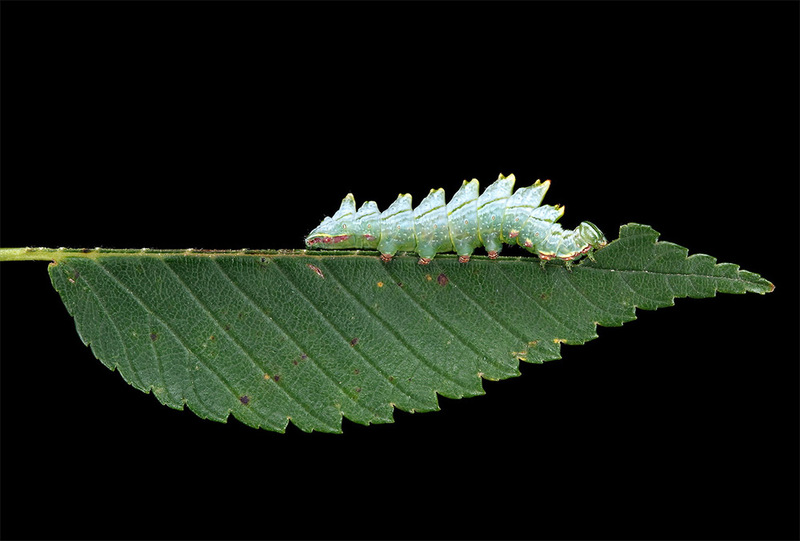 Jaffe has cataloged dozens of caterpillars in different settings, each with a blackened background to highlight their unique textures, colors, and patterns. 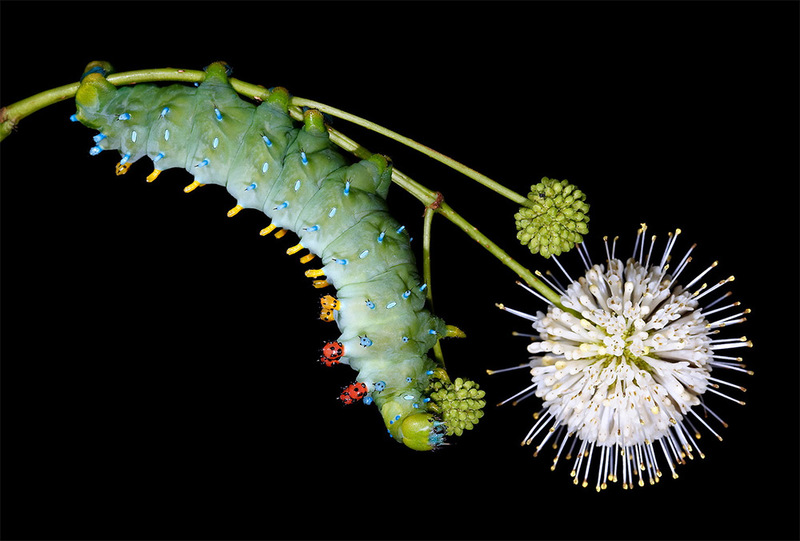 Caterpillars dangle off branches, clutch onto leaves, and even play on grapevines within his photographs. Catching his subjects at specific moments, Jaffe gives each a little pop of personality, showcasing their playfulness when left alone in nature. You might remember an awesome app mentioned here a few months ago from the creative team over at Tinybop called The Human Body. The educational app takes you deep inside the, erm, bowels of the human body using artwork from illustrator and designer Kelli Anderson. Less than a year later we get to see the latest addition to Tinybop’s Explorer’s Library series, Plants. The educational title lets you explore two interactive dioramas (forest and desert) illustrated by Marie Caudry where you learn about the lifecycle of plants and how they interact with the rest of the world. Tundra and grassland biomes coming soon. A great promo to attract students into the graduate program at Dare, a large interactive agency in London. On a related note, this infographic trailer for Waiting for Superman is killer.